As well as photography I love 1970s horror movies, early cinema, and have a very eclectic taste in music. I'm generally a very neat and tidy person but I do hoard books. Luckily for me, my partner also hoards books so I can deny all knowledge and responsibility for that issue. Well, until he looks at the titles and wonders when he acquired such a large gothic novel collection. At university I studied media, gaining a 2:1 BA (Hons). Originally I wanted to be a cinematographer, but it turns out that I liked stills photography better. I get to bring a lot of those skills into my work which is great; I love what I do. I like my pictures to illustrate the mood during which they were taken, so a great deal of my work is very light and bright because I think that best reflects the joyous atmosphere of a wedding. I love to bring narrative into my work, and for the images to tell a story. I enjoy becoming a part of the day, capturing portraits and moments without intruding. I like seeing all the wedding guests have fun, without the worry of lining up for pictures. I'm energetic and I love to see new places, gain new perspectives, and push myself artistically to get the most from every wedding I shoot. After my other half, the biggest love of my life is my pet chickens. We started with three, back in 2016, and since then they've multiplied into a wide array of adorable floofs from rare breeds to battery rescue hens. These tiny monsters convinced me to go vegan, and that's filtered through into my work as well. You can blame them for the 100% vegan albums on offer, and the eco-friendly companies that I work with. You'll see there's a big focus on reducing my carbon footprint: I try to communicate digitally as much as I can, use email, video calls, and digital download where possible. USBs and boxes are made from natural materials, which has the added bonus of being far prettier than plastic too. I've won several industry awards for my North East Wedding Photography as well as my customer service. 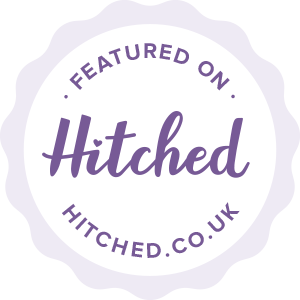 My work has been featured in many online blogs, wedding websites, and I've had numerous editorial features in wedding magazines.